→Queso Fresco Substitute: Top Awesome Alternatives For Your Recipe! Queso Blanco has a lot of similarities with Queso Fresco – and that’s the reason why these 2 are interchangeably used in recipes. And of course, that makes Queso Blanco a suitable substitute for Queso Fresco as well. You see, like Queso Fresco, Queso Blanco is also a Mexican cheese. It’s also a fresh cheese that has a mild salty taste. As for its texture, Queso Blanco is firm and crumbly (like Queso Fresco). To make homemade Queso Blanco, all you really need is a gallon of whole milk and an acid ingredient (for curdling). The mixture then needs to be strained using a cheesecloth to get the final product. Feta cheese has somewhat the same texture as Queso Fresco in the sense that it’s a firm cheese with a crumbly texture. However, Feta is saltier than Queso Fresco – that’s why it’s advisable to rinse it with water first before including it in your recipes that call for Queso Fresco. 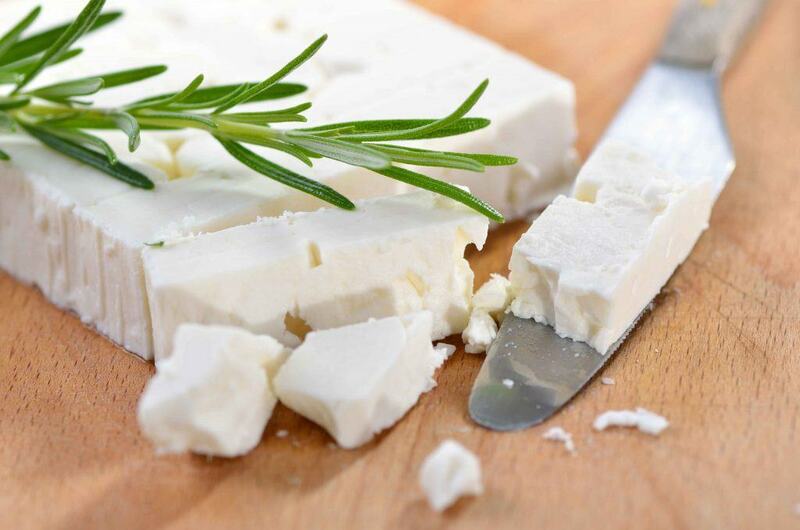 Do keep in mind that there are many varieties of Feta cheese – and the Greek and Bulgarian versions have a very strong taste (very salty). Therefore, if you can find milder versions of the cheese (French and Danish varieties), those would be more suitable as Queso Fresco substitutes. Also, remember that Feta cheese can easily spoil. However, storing it in a brine solution will somehow extend its life (a few weeks in the fridge). Raqueson is a Latin version of Ricotta cheese. It can be used as Queso Fresco substitute because they have similar textures (crumbly). However, Raqueson cheese has a somewhat grainier texture compared to Queso Fresco. Like Queso Fresco, Raqueson Ricotta is also a fresh cheese. To achieve its firm texture, this cheese is pressed and strained in cheesecloth. Keep in mind that regular Raqueson Ricotta tastes saltier than Queso Fresco. So, if you are also after the taste of Queso Fresco (mildly salty), go for the Brazillian version. Aside from being a suitable replacement for Queso Fresco in recipes, Raqueson Ricotta is also a low-fat type of cheese. 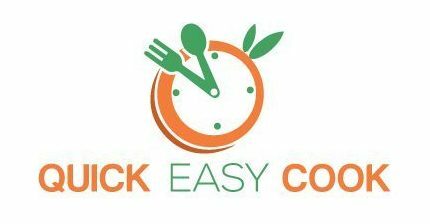 You can, therefore, use it in low-fat recipes where you want to have a creamier, tastier result. This particular cheese is great in salad, pasta and enchilada recipes. As you can already tell, Ricotta Salata is another type of Ricotta cheese. This particular cheese has a firm texture and is not as crumbly as Queso Fresco. In fact, it can even be shaved when included in recipes. Ricotta Salata is a version of Ricotta cheese that’s brined and dried for 90 days. It is also pressed during the process of draining – that’s why it’s quite firm. When using Ricotta Salata as a substitute for Queso Fresco, keep in mind that the younger version is saltier than the aged version of the cheese. Therefore, it would be more practical to use aged (at least 2 months old) Ricotta Salata when using it as a substitute for Queso Fresco. I have good news for you – you can make homemade Ricotta Salata if you can’t find it in stores. To do this, just add some salt in a batch of Ricotta cheese and mix it well. Get a cheesecloth and strain the mixture for 7 days in the refrigerator and you will have for yourself your very own Ricotta Salata for your recipes. Paneer is another type of Cottage Cheese – and it’s a fresh cheese like Queso Fresco. 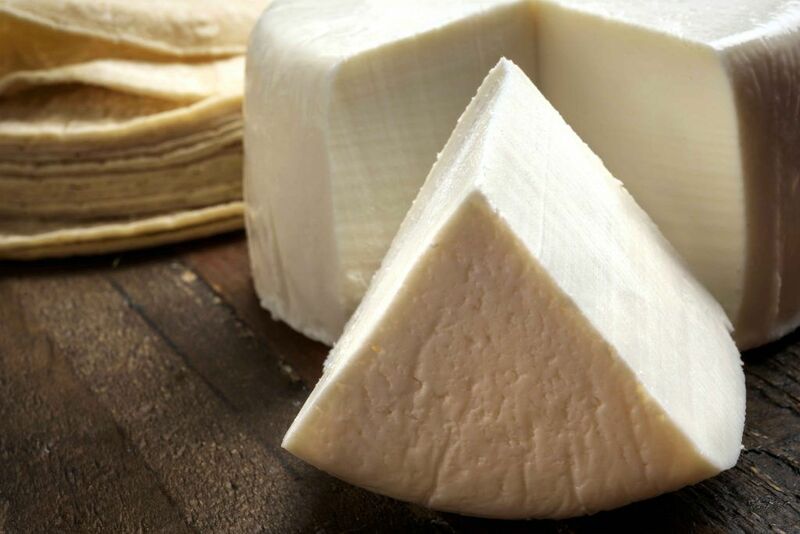 Like Queso Fresco, Paneer cheese also has a crumbly texture and mild taste. These 2 kinds of cheese (Queso Fresco and Paneer) are actually produced using the same technique – which explains their similarities. To make homemade Paneer, you need to heat milk and add an acidic ingredient to it for curdling. Once strained, you can use the cheese immediately or store it in the refrigerator (to extend its life). 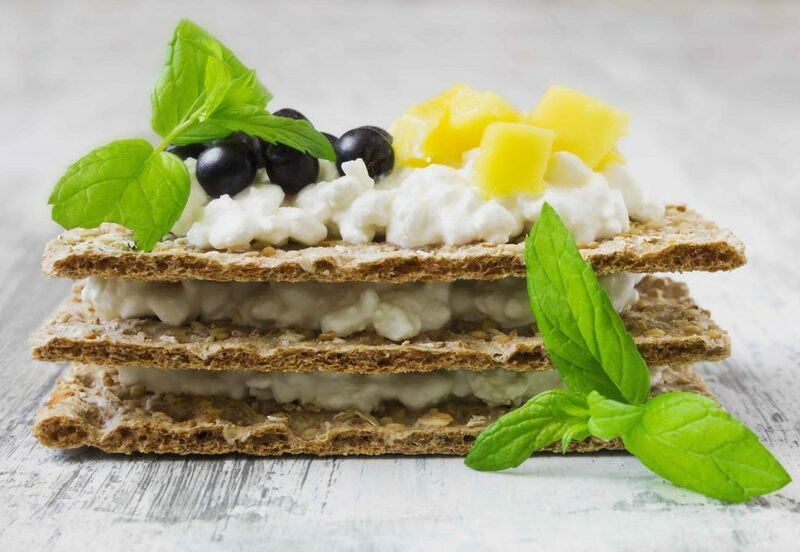 A Dry Curd version of cottage cheese is not only a good substitute for Queso Fresco – it’s also a more suitable ingredient for those who are lactose-intolerant. You see, dry curd cottage cheese requires that the lactose elements in the cheese be dried out (that’s why it’s drier than regular cottage cheese). Also, no milk ingredient is added to the cheese after the fermentation process. Compared to regular cottage cheese, the dry curd version also has longer shelf life. The reason for this is that there’s little to no moisture in the cheese for bacteria to thrive in. Dry curd cottage cheese also tastes bland – that’s why it’s very similar to Queso Fresco in flavor (and can be used as a substitute). So, if you want, you can add a little salt to the mixture or the recipe itself. I would have to say that Bocconcini cheese is a “cute” version of Mozzarella cheese. It’s semi-soft and has a mild taste and it comes in the size of an egg (which makes it cute). Bocconcini cheese makes for a good substitute for Queso Fresco mainly because of its flavor (it’s not that salty) and not for its texture. Therefore, keep those points in mind when using it to replace Queso Fresco in your recipes. There are many variations of Goat cheese. If you’re going to use this type of cheese as a substitute for Queso Fresco, choose a version that’s mild in taste. Goat cheese is semi-soft in texture – so, it’s really not the same as Queso Fresco in that aspect. It’s only suitable as a replacement for Queso Fresco if you’re after its mild, salty taste. Monterey Jack cheese has a mild, buttery taste and can definitely work as a replacement for Queso Fresco. If you’re looking for a low-fat cheese for your recipes, this would be a good option for you. With its semi-firm texture, Monterey Jack is a versatile type of cheese that can be used in many recipes. You can use it in dishes that call for Queso Fresco and will work well for burritos, fajitas, and tacos. 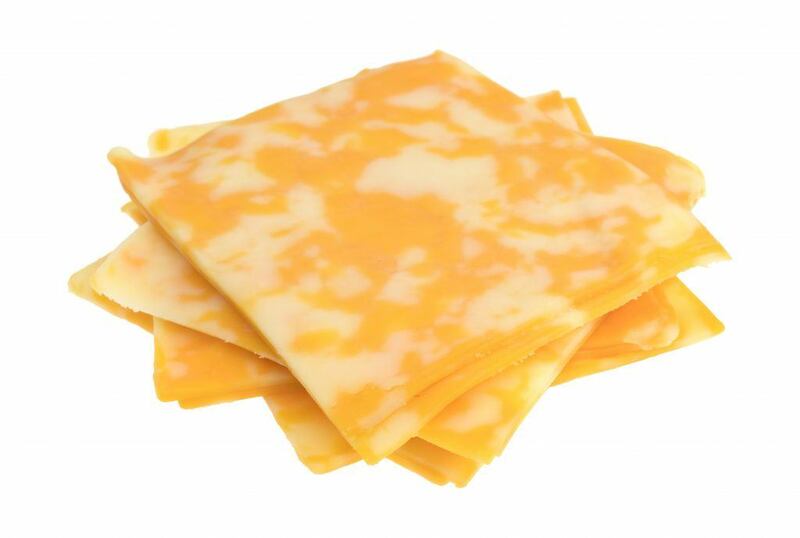 Muenster cheese is an American version of French Munster cheese. Compared to the French cheese, the American version is milder and, therefore, more suitable as a substitute for Queso Fresco. When using Muenster cheese to replace Queso Fresco in your recipes, remember to go for a young cheese. Aged versions have strong flavors and powerful aroma that can affect your dish. In spite of their similarity in taste, Muenster cheese has a softer texture than Queso Fresco (it’s a processed cheese, by the way). Because of its soft texture, it makes for a suitable substitute for Queso Fresco in quesadillas and other similar recipes. Q: Are Queso Fresco and Feta the same? A: Queso Fresco and Feta cheese have similar textures (crumbly). Feta, however, is more flavorful (saltier) in taste. Q: Can Queso Fresco substitute for Mozarella and vice versa? A: Mozzarella cheese doesn’t make for a good substitute for Queso Fresco because it’s saltier and much softer. In the list of Queso Fresco substitutes above, I included Bocconcini, which is a type of Mozzarella cheese. However, the Bocconcini version is firmer than a regular Mozzarella cheese and is milder in taste. Q: What can substitute for Queso Blanco? A: Queso Fresco and Queso Blanco are very similar in taste and texture and can, therefore, be used as replacements for each other. Q: Where can I buy Queso Fresco? A: Queso Fresco is usually available in groceries (in the cheese section). If you can’t find it in your area, you can use any of the substitutes I listed above. There you have it – you now know of 10 substitute kinds of cheese for Queso Fresco. You can use any of those substitutes I listed above for recipes that call for this particular type of cheese. 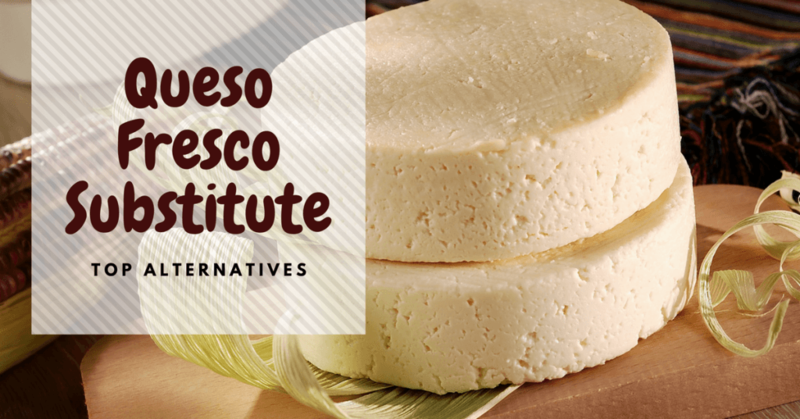 Queso Fresco is usually needed as an ingredient in Mexican dishes – especially in enchiladas, salads, and soups. And of course, you can also use it for non-Mexican recipes – because, like all cheeses, it’s really REALLY good (read: tasty). Do let me know if you have used any of the substitute cheeses I listed above in your recipes (and how they worked out). I would also appreciate it if you can share this article with your friends.